English muffins are one of my favorite breakfast breads. When I was a child, I'd tiptoe into the kitchen before sunrise, split open an English muffin and toast it. Then I'd slather on butter and watch it melt, filling the muffin's nooks and crannies with golden pools. The difference between crumpets and English muffins has long been an issue of debate. Although each has distinct characteristics, it all boils down to one difference: crumpets belong to Britain and English muffins to America. In the UK, crumpets are eaten with butter at breakfast or for tea. English muffins, America's answer to crumpets, are usually split and toasted, fashioned into a sandwich, or served open-face as Eggs Benedict. I'm very finicky about my English muffins. They must be chewy and full of nooks and crannies. When I began making English muffins, I went to Alton Brown. I love Alton Brown's recipes and his English muffins are no exception. But there was one problem: the texture. More bready than chewy, the muffins resembled a breakfast roll rather than an English muffin. And the nooks and crannies were non-existent. So I went back to square one. I tried recipes that call for a thicker dough, cut out like a biscuit. This method only makes breadier muffins. At a friend's suggestion, I added baking soda at the end of the final rise. Still no nooks and crannies and the texture also fell short. Then I realized that the problem was not so much the ingredients as the method. I was sure over-proofing the yeast with an overnight rise would be the answer to my problem. I went back to Alton Brown's recipe, tweaked it slightly and left the batter-like dough to rise overnight in the fridge. In the morning, I scooped the dough into muffin rings and cooked them on the griddle. Voila! Authentic English muffins, with chewy texture and enough nooks and crannies to please even the Queen of England. Another nice feature of this recipe: not only is prep a cinch, but an overnight rise makes things come together quickly in the morning. And homemade English muffins are infinitely better than anything sold in a grocery store. 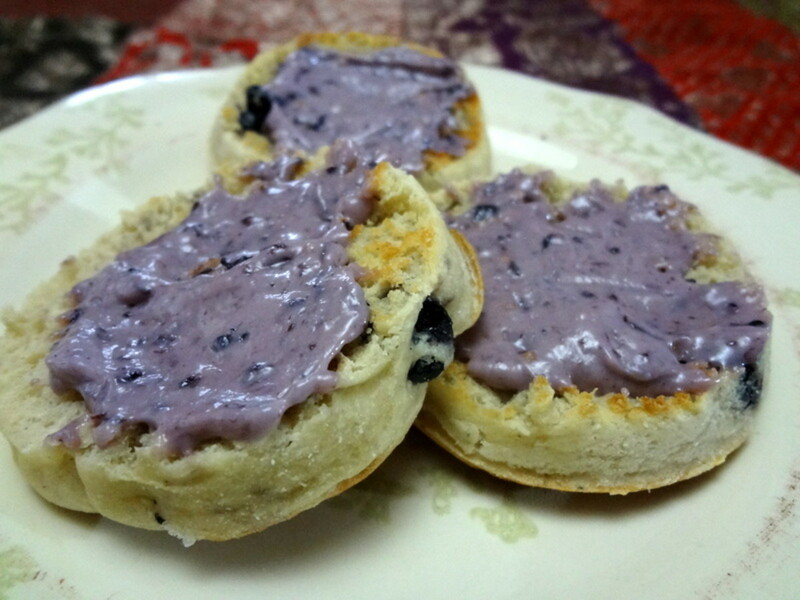 I've also included a recipe for blueberry English muffins, similar to Wolferman's famous muffins. Slightly sweet and full of fruit, they make a gorgeous addition to the breakfast table. Plain yogurt gives the muffins a pleasant "sourdough" flavor. 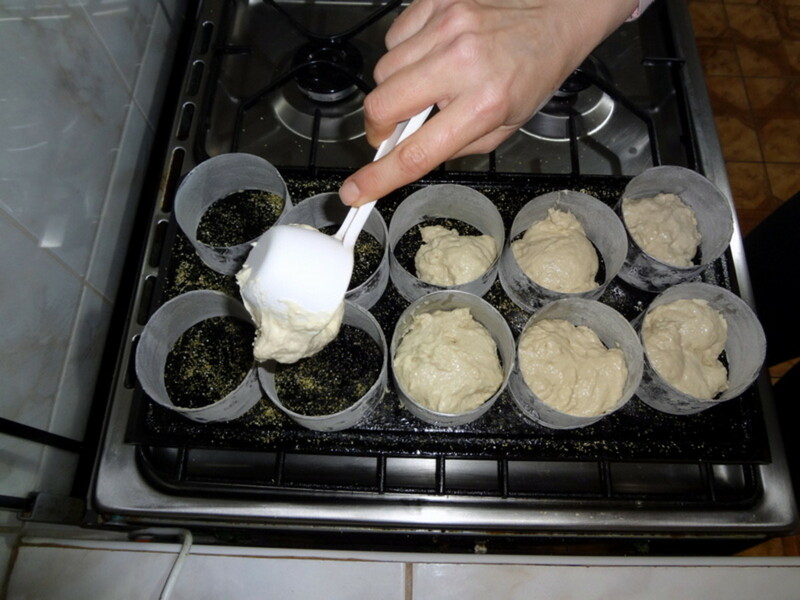 You can use a hand mixer, bread maker, food processor or stand mixer to knead the dough. Follow the manufacturer's instructions. Before kneading, you have to proof the yeast. See discussion below. Overproofing the dough, recommended here, makes it rise high then begin to collapse, which gives the English muffins their unique texture. You can substitute 1 1/4 cups of milk for the powdered milk and warm water. You can make the muffins free-form, but for perfectly round muffins you'll need to invest in English muffin rings. 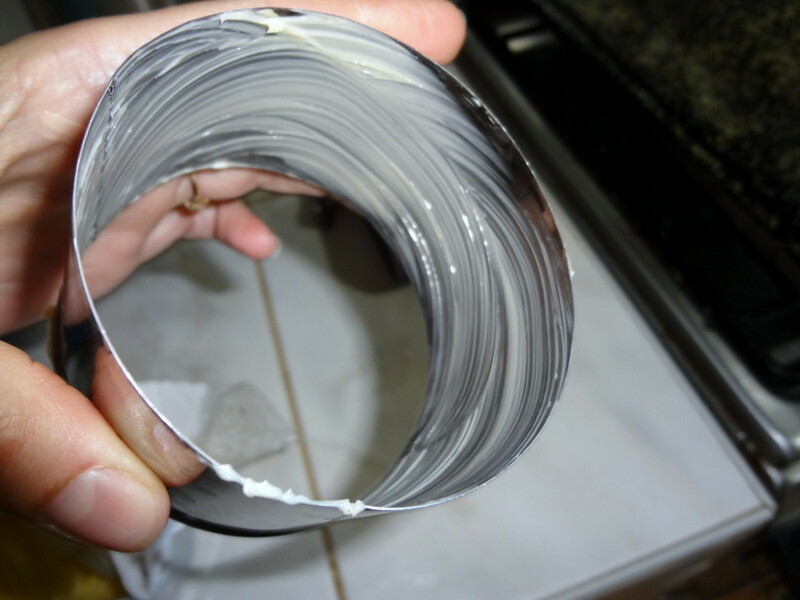 Don´t allow the dough to rise after pouring it into the rings. It will rise on the hot griddle during cooking. 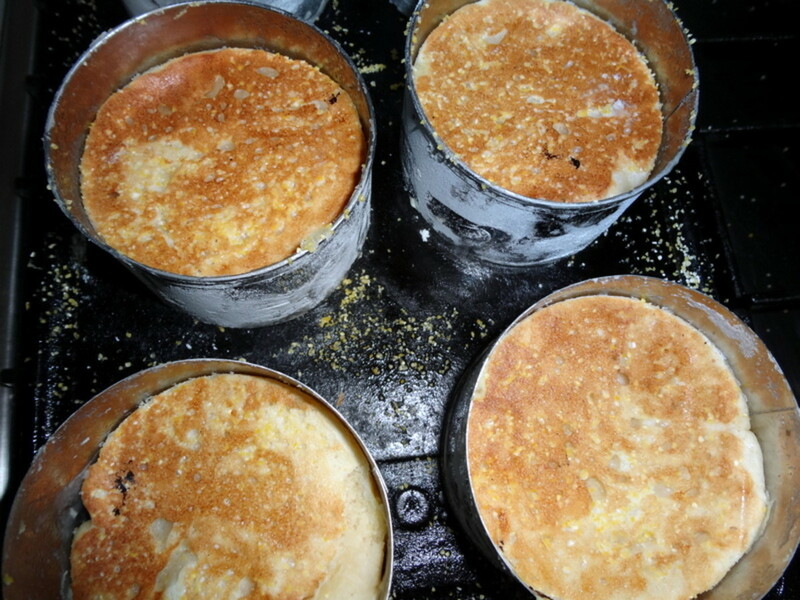 Authentic English muffins are cooked on a griddle. You can use either an electric or stovetop model. I finish mine in the oven so as not to over-brown them. We like English muffins best cooled, split, and toasted for crunchy texture. Yeast is a living organism and must be activated to make the bread rise. Heat 1/4 cup water to about 110 to 115 degrees Fahrenheit, or 43 to 45 degrees Celsius. It should feel warm to the touch, not hot. Water that is too hot will kill the yeast, but if it's too cold, the yeast won't be activated. 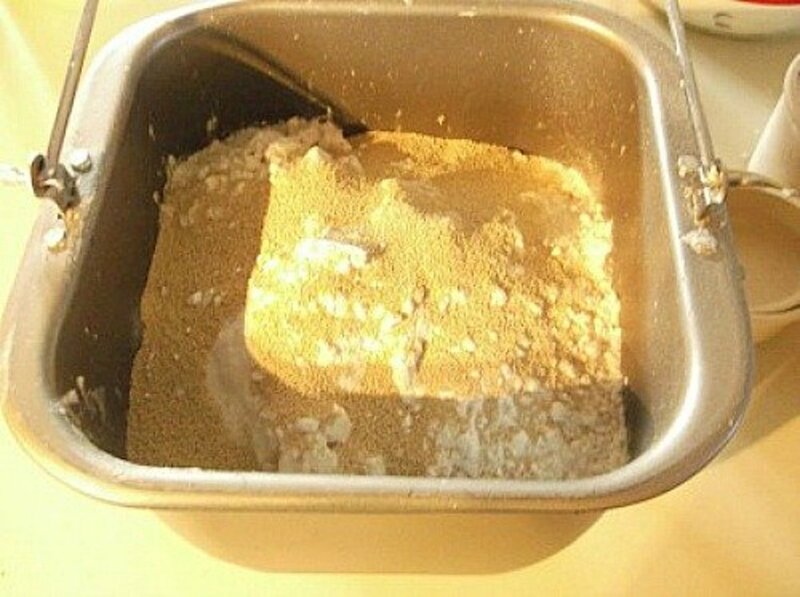 Add 2 teaspoons active dry yeast and stir. Add 1/4 teaspoon each of sugar and flour. Let the yeast rest for about five minutes. It should begin to foam and smell like baking bread. Follow steps in the "instructions" section below. Proof the yeast as directed in the section above, "How to Proof Yeast." Combine dry ingredients (powdered milk, sugar, salt and flour) in a medium mixing bowl. 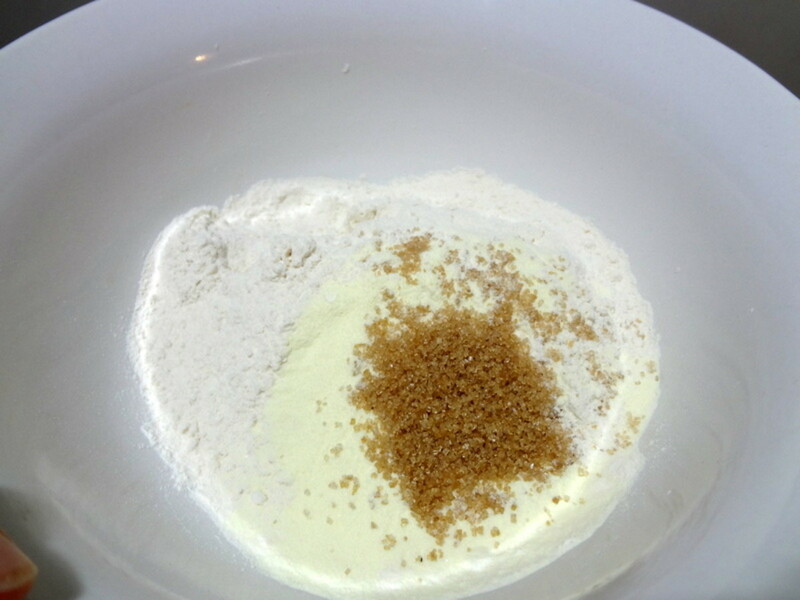 Add wet ingredients (melted butter, water and yogurt) and proofed yeast to dry ingredients. Use a hand or stand mixer, processor or bread maker to knead the dough. Consult the manufacturer's instructions. This takes approximately five minutes. 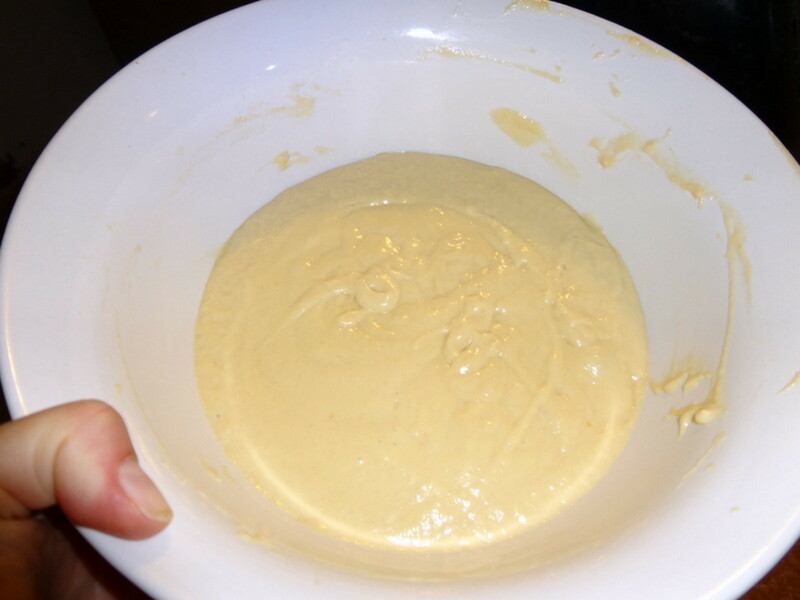 Pour dough into a medium mixing bowl, cover with plastic wrap and leave it overnight in the refrigerator. By morning the dough should have "overproofed," which means it will have fully risen and begun to collapse. 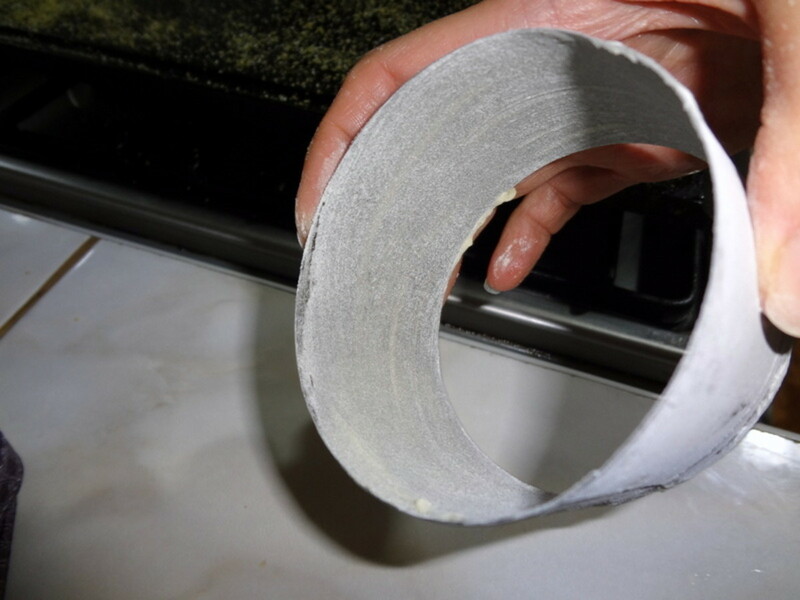 Remove mixing bowl from the refrigerator and set on countertop while preparing the muffin rings. Grease and flour muffin rings as seen in photo. 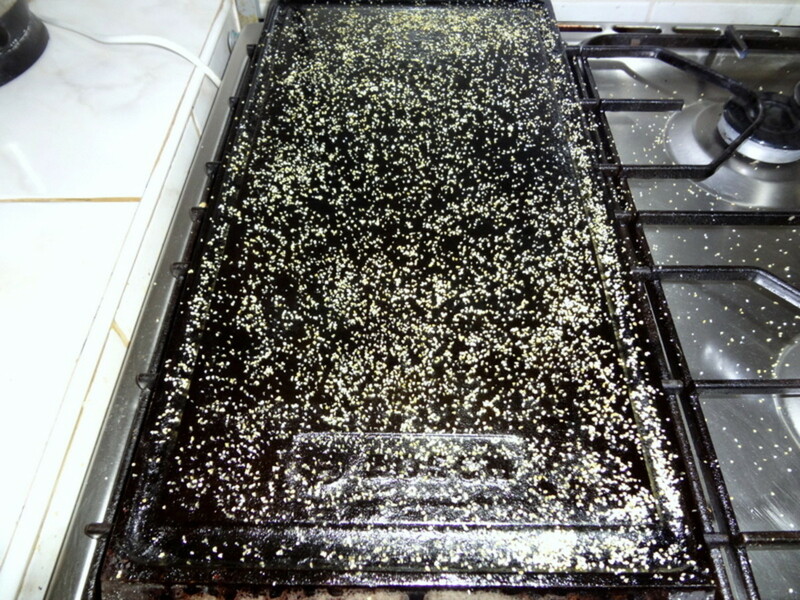 Grease griddle and dust with cornmeal. Set rings on griddle and turn heat on low. Grease a 1/4 cup measure. Scoop 1/4 cup of dough into each ring. Place a baking sheet on top of the rings and allow to cook on the first side for 6-10 minutes, depending on the temperature of your griddle. Flip rings over and cook on the second side for about 6 minutes, being careful not to burn them. Transfer English muffins to a 350 Fahrenheit oven for 5 minutes to finish them. Enjoy them warm or, better yet, let them cool before splitting and toasting. 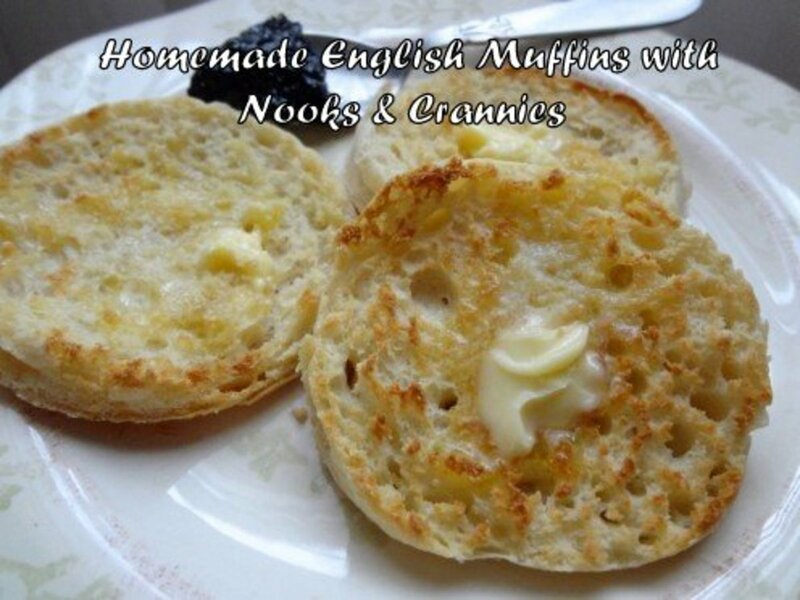 Serve English muffins full of nooks & crannies with plenty of real butter! Top toasted English muffins with butter, peanut butter, cream cheese, Nutella, jam, or honey. Split leftover English muffins in half and make mini-pizzas. Slather muffins with pizza sauce, add your favorite toppings, and broil until bubbly and golden brown. Melt one tablespoon of butter in a medium skillet over medium-low heat. Place muffin ring on melted butter. Crack 1-2 eggs into muffin ring. Cover ring with a plate or small lid. 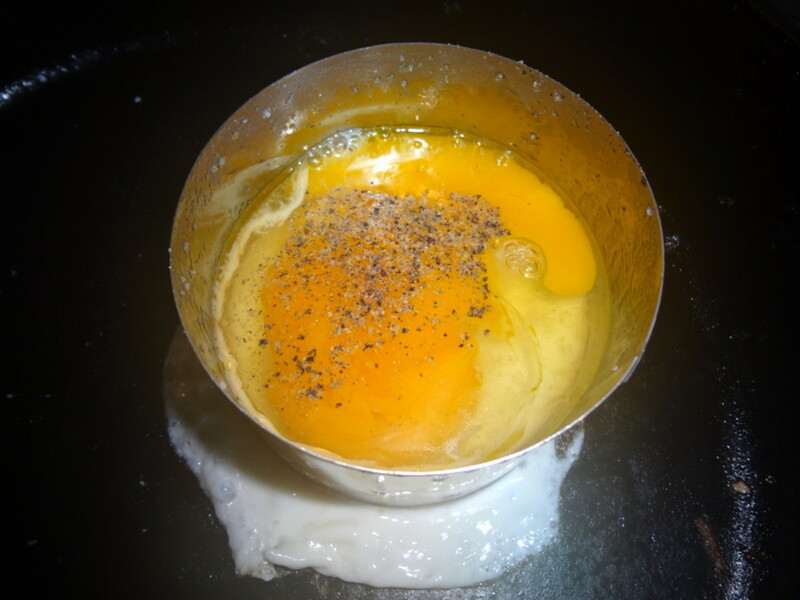 Allow egg to cook for 1-2 minutes. When the white has turned opaque and firm, use a spatula to flip the ring. Fry on other side until egg is cooked through. Sandwich the egg between two toasted English muffins. In the tradition of Wolferman's, these are sweeter and softer than traditional English muffins and are filled with fruit. *Place dried blueberries in a cup of boiling water and soak for at least one hour. Combine 1/2 teaspoon sugar and flour with 1/4 cup warm water. 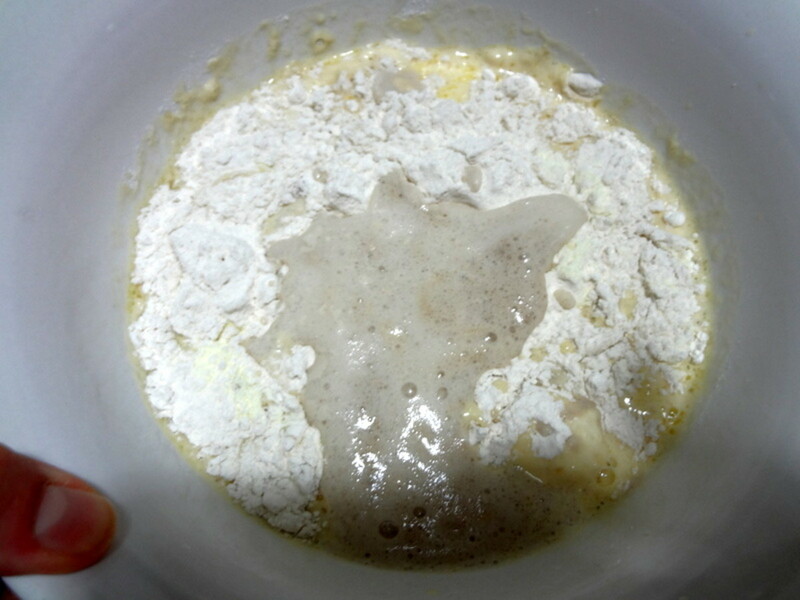 Add 2 teaspoons yeast and stir. Allow to rest while you follow steps 2-4. Measure dry ingredients into a medium mixing bowl. Pour milk and melted butter into a small bowl. 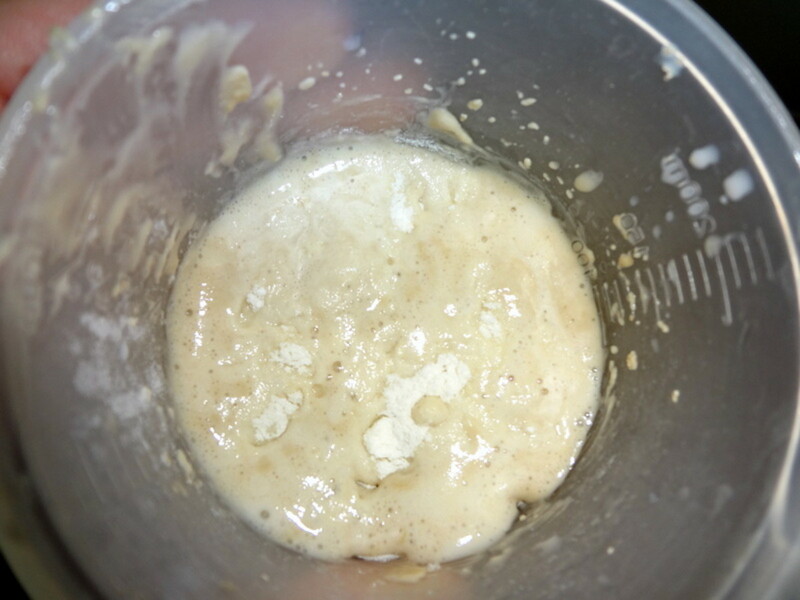 When yeast begins to bubble and smells like baking bread, add it to the milk and butter. Using a hand or stand mixer, food processor or bread maker, knead dough according to manufacturer's instructions, about five minutes. 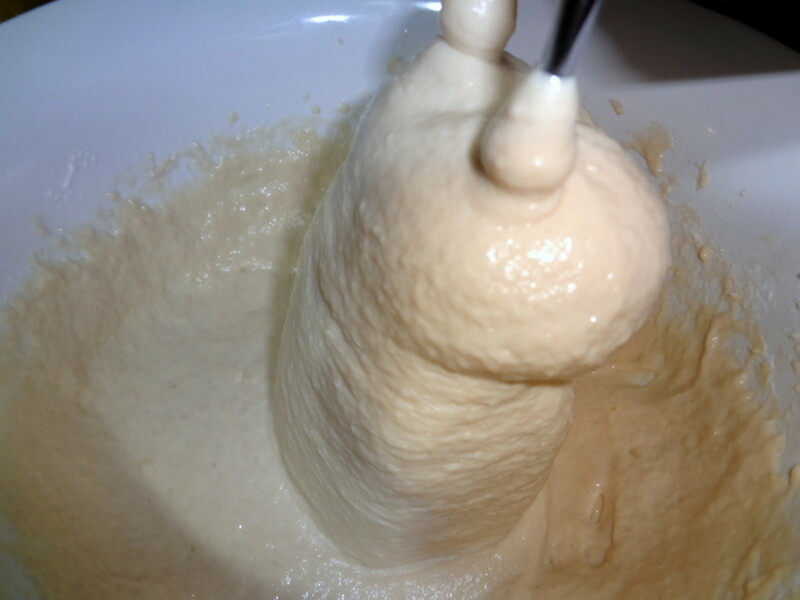 Place dough in medium mixing bowl. Cover with plastic wrap. Allow to rise overnight in the refrigerator. The next morning, follow steps 7-15 of the authentic English muffin recipe above. Serve with butter, or blueberry cream cheese. Enjoy! Instead of blueberries, try dried cranberries with a touch of orange zest, dried cherries, or cinnamon and raisins. That's great to know beckbjj! I'll add buttermilk powder to my thing to get list! Just made these again and realized I must've forgotten to report back about using the buttermilk powder, because I used it my last batch as well as this batch. I decided I'd like a little extra tang in my English muffins, so rather than eliminating the yogurt I actually kept the yogurt and also added a tablespoon of buttermilk powder with the dry ingredients, without changing anything else (i.e. I did not reduce the powdered milk). Both the last batch and the batch I just made turned out great, with lots of beautiful nooks and crannies and excellent flavor. So I'd say adding a tablespoon of buttermilk powder is a nice addition to an already outstanding recipe. I made these again today and tried substituting 1 Tbs. of buttermilk powder for the 1 Tbs. yogurt (mainly because I was out of yogurt), and they look great! I haven't tried them yet but I'm sure they'll be delicious as always. So if anyone out there is weird like me and sometimes doesn't have yogurt but always has buttermilk powder, you can use buttermilk powder to add the tang. I think 1 Tbs. of actual buttermilk would also work very well. 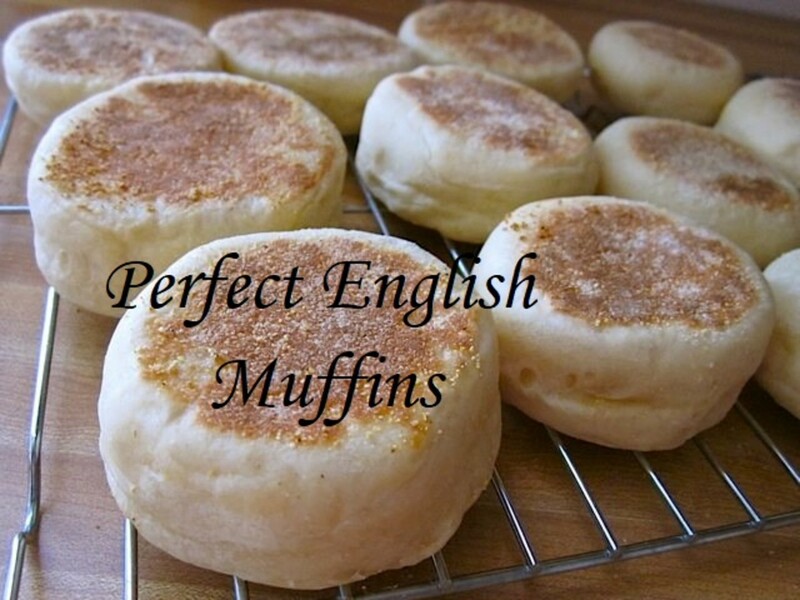 Delicious recipe to make your own English muffins! Voted up for useful! I'm so glad to hear it @beckbjj! I've also decided to make a batch for breakfast tomorrow. Thank you! I just did the yogurt this time, but next time I'll try the buttermilk powder and will let you know. It probably won't be long because once I make these, I just can't stop eating them, so they don't last long. I love that you make your own yogurt! My best friend is a dairy farmer, but he lives too far away for me to get his good milk. :-( I do use flour from locally grown, locally milled wheat though, and it's amazing. No I haven't beckbjj. Buttermilk isn't available in Peru but I do make my own yogurt so this recipe was born from the locally available ingredients. Pmease let me know if you try buutermilk so I can make the information availableto others. It sounds like a good substitution since both buttermilk and yogurt and acidic. Well, I tried to edit my comment (the one asking about buttermilk powder), but I'm having some kind of browser problem. Anyway, I wanted to add that I made these about a month ago and they are excellent. Making them again today! Just curious, have you ever tried using buttermilk powder instead of plain milk powder, either instead of or in addition to the yogurt? Hello Vespa. My name is Dan and I am a founder of Easy Fast Recipes website. 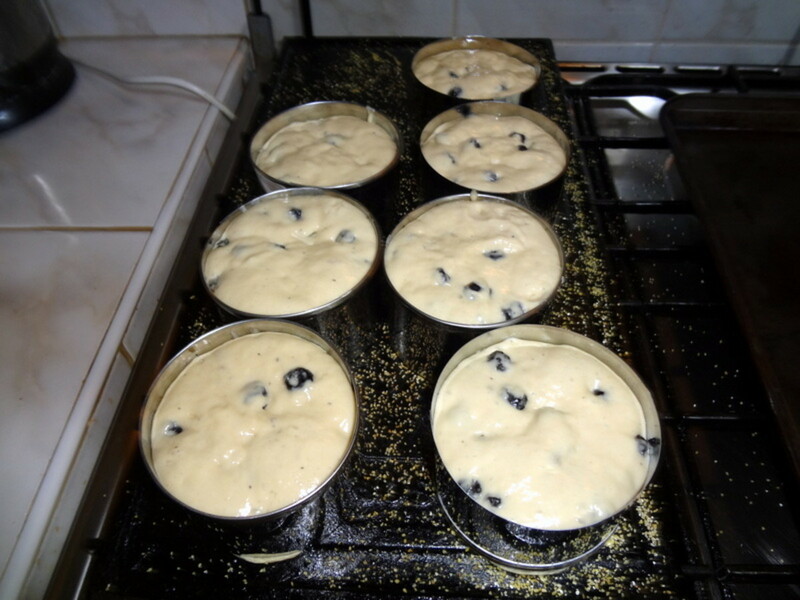 Many thanks for this lovely Homemade English Muffins recipe! 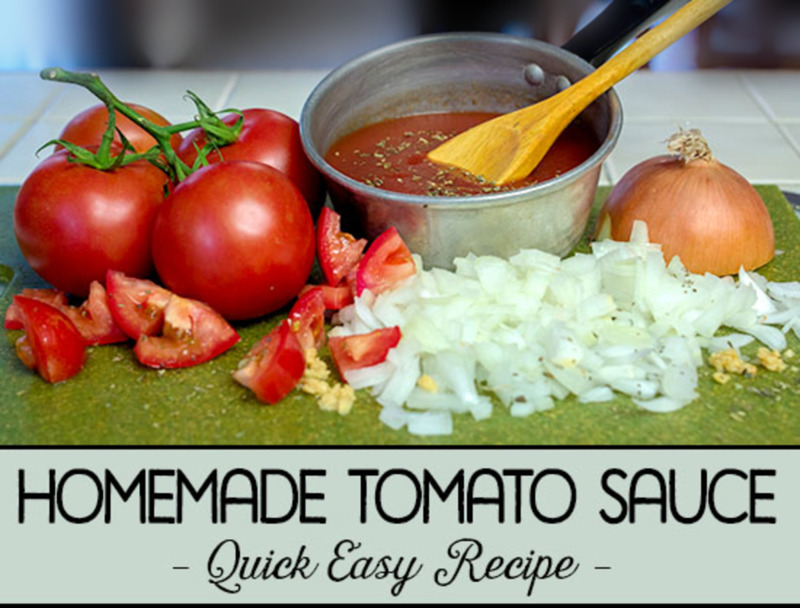 Simple and affordable ingredients, easy to follow step by step instructions. This is yummy easy fast recipe and it's surely going into my bookmark list. 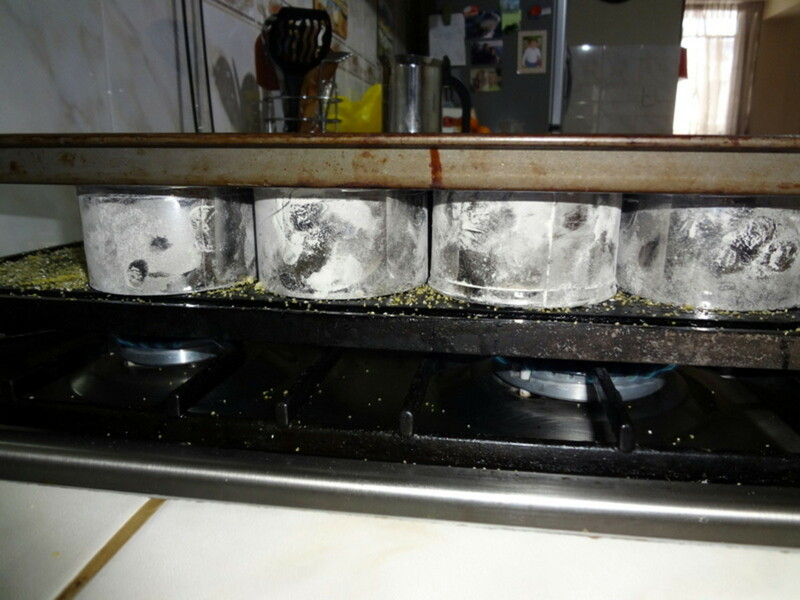 Ecogranny, I hope the cold proofing method helps! I wish we were neighbors so I could taste your delicious and healthful concoctions! I've been making whole wheat sourdough muffins for a while now, but they never have that irregular cellular structure I'm looking for, turning out instead more like bread. I do proof the dough overnight, but always in a the oven, with the oven light turned on for warmth. I'll try your cold proofing method and see if it makes any difference. Thank you so much for your tips and the photographs! I hope tou can find the time Arachnea. Thank you psyraubie48. I know you are quite a baker! Phyllis Doyle, please let me know what tou think of the homemade English muffins! O yes please. I love to bake breads. I have never made an English muffin; these look divine. I will be trying them soon. I love English muffins and have never tried making them. Your recipe has tempted me to make my first batch of them. I bookmarked so I can come back and get the ingredients when I go shopping. Thanks for sharing this recipe. I've been wanting to make my own English muffins for ages. Just can't seem to find the time. These are delicious English muffins Hendrika. Enjoy! Thank you for the recipes and tutorials on English Muffins. I have been considering them for quite a while, I have even bought the yeast already! Maybe now is the time to go for it. Carb Diva, your comment lives up to your name! I hope you try them sometime. Thanks! vespawoolf - I love to bake bread, and I love English muffins, but (strangely) had never considered the baking of English muffins at home something one could achieve. I believe you have rocked my world! Great hub. Thanks so much for sharing. I´m so glad to hear of your success, Soh, and thank you for the review. I´ve added your adjustment to the "tips" section of this recipe so others can benefit from it as well. Have a great year! What a great recipe! Thank you for sharing. My 2nd attempt was a lot better -- the first time when I added 1 cup warm milk, the muffins turned out a tad wet. I didn't have milk powder, so on my 2nd try, I added a little fresh milk and warm water combined (ie. 1/4 cup in total). They turned out great, with lots of nooks and crannies -- a wonderful way to kick start the new year! Soh, I have never used instant yeast. It rises quicker and so may not be suitable for this recipe. You can omit the milk powder and substitute 1 cup warm milk. No, you don't have to allow the dough to rise again. Just scoop into the rings and it will rise on the griddle as you are cooking the muffins. Enjoy and let me know how it goes! 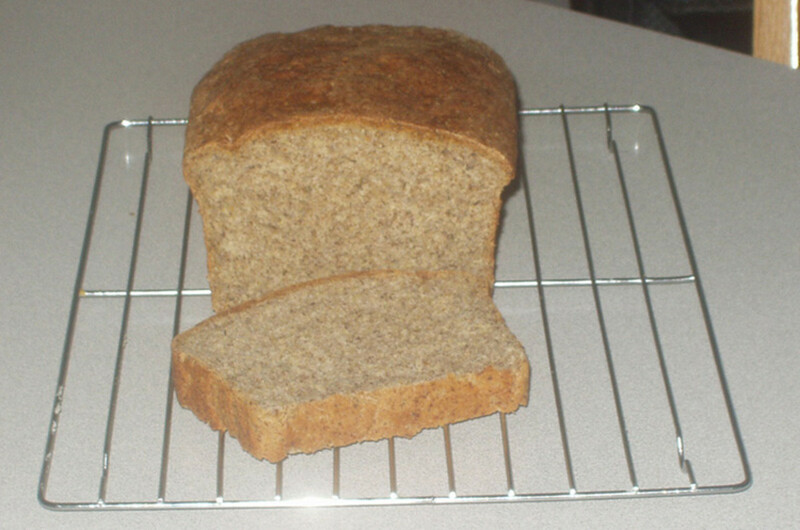 Soh, I use all-purpose, bread or unbleached flour in this recipe. You can also try half white wheat for a healthier variation. i can't wait to make these today! I was wondering if i should use plain, all-purpose flour, or bread flour for this recipe? Does it make a difference? I only have instant yeast, how do I substitute that for active dry yeast. Can I omit the milk powder -- if I were to use fresh milk, 1.5 cups converts to close to 290 ml and that seems an awful lot of liquid for this recipe? Lastly, after removing the proofed dough from the fridge in the morning, must I punch it down and wait for it to double in size in the English Muffin rings? Thanks much for your help! Thank you for your kind words janshares! I really appreciate the rating and votes! My goodness, glad this is circulating again. The clueless, non-baker I am, thought English muffins were made by a machine. I didn't think that the texture, nooks, and crannies could be achieved homemade. I am also impressed by the immaculate look of this hub. Great presentation and formatting, vespawoolf. Your images are stunning. I gave this recipe hub a 5-star rating, voted up, useful, awesome, beautiful, and interesting. Thanks for the comment and pin, ShariBerry! English muffin with peanut butter is one of my favorite breakfast treats. I have a Thomas' English muffin every morning for breakfast spread with creamy peanut butter. I can't wait to try this recipe! I love the nooks and crannies too. I'm pinning this. Tundra55, thanks for your input on the difference between crumpets and English muffins. I haven't had much success with the free-form style of English muffins and find them lacking in character. Crumpets are very different from English muffins. Crumpets are cooked on a griddle in crumpet rings, on one side only. English muffins are not typically baked in rings. English muffin dough is typically stiff enough to hold its shape when baked freeform on a griddle, turned once during the bake time. DonnaCaprio, it's nice to meet another baker and I'm glad you're going to try your hand at English muffins. Please let me know how it goes! I enjoy baking and often bake muffins and scones. I have never tried to make english muffins, but after reading your hub I am looking forward to trying them. Gamia, I'm so glad this recipe worked for you. I will add the milk substitution in the tips section for others who would like to avoid powdered milk. Thanks so much for your feedback! I really appreciate it. OMG! I made these this morning and all I can say is...Divine! I used the 1 1/4 cup milk in place of dry milk as you suggested and still got lots of nooks and crannies! I will never eat store bought again! Being wheat sensitive, the overnight rise gobbles up all that nasty phytic acid making these so very digestable! It's a keeper! thank you! They are a most traditional food! Gamia, thank you for your enthusiasm! I always right click with the mouse and then click on the print option. You can try 1 1/4 cups of warm milk instead of the water and milk powder, although I have never tried it. I hope you still get lots of nooks and crannies! I cannot wait to make these! Nooks and crannies are a must! Is there a substitute for dry milk that will work? I never use the stuff! :) And...How do I print it!? I am new to Hub Pages! manl, I've tried both with and without proofing and I prefer the texture of the muffins with the extra step. Either way, though, you can't beat homemade muffins. Blueberries are my favorite. Enjoy! manl, you need the 1 cup plus 1/4 cup water for the dough to be the right consistency. I don't recommend skipping the proofing step, either, or the English muffins won't have their unique texture with plenty of nooks & crannies. I have adjusted the recipe to make the information about quantities a little clearer. Thanks for coming by! Feel free to ask any more questions that might come up. am i just omit this quantity in reciept in case i don't need to proof yeast? or i still need to add back 1/4 cup warm water in? Rebeccamealey, it's always so nice to hear from you! I totally agree...the blueberry muffins are mouth-watering. Thanks for coming by again. Revisiting this one for about the third time, LOL. I can't ever resist that mouth-watering intro photo. And the blueberry? So divine! CarrieLeeNight, thank you! I hope you can enjoy these delicious homemade English muffins some time. Yummy ! Thank you for writing this recipe hub :) Have a wonderful week. Gsc87: In the UK, crumpets are the closest thing to what we call English muffins in the U.S. In England, there is really no such thing as an "English muffin" which is an American term. A British friend told me that in the area of England where she grew up, a muffin was more akin to a sweet cake. I hope that clears things up a little bit and I hope you can try these delicious homemade "English muffins" sometime. Thank you for taking the time to read and ask a question. I start my morning with a English muffin with turkey sausage. I will try this recipe!!! I love honey on English muffins . Thanks for sharing. I'm confused about the English muffins and crumpet thing. I'm from England and you can buy both from the grocery store. The English muffins taste the same as the store-bought ones over here and completely different to a crumpet - no nooks and crannies. I've only ever tried to make crumpets which didn't work out that well and haven't yet got round to trying them again but I get that homemade muffins would taste like crumpets. It just begs the question what are the English muffins in the store. MarkRyanBriones, thank you for your comment. 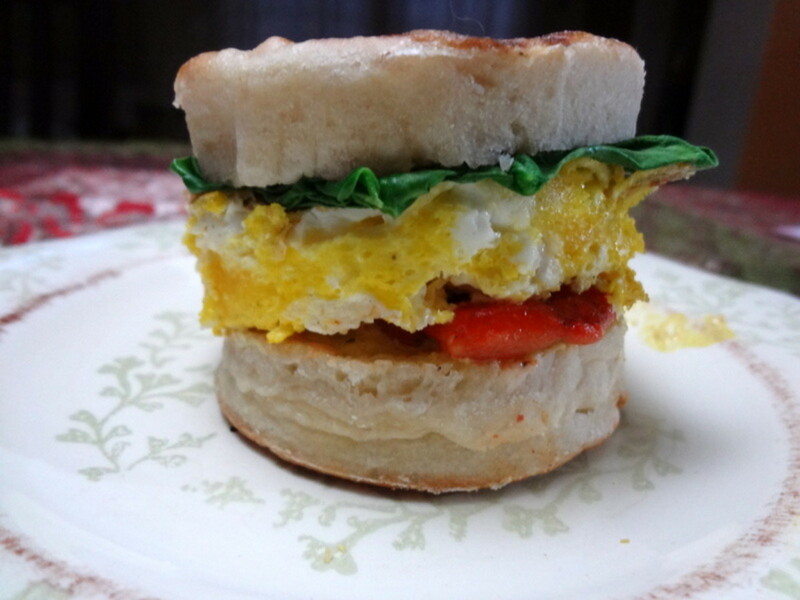 Anita Saran, we've used half whole wheat flour for deliciously wholesome English muffins. Thanks for coming by! twig22bend, English muffins are so delicious. I appreciate your comment. Muldercub, English muffin pizzas are delicious! I'm glad you mentioned them--I'll have to try that next time I make a batch of muffins. Thanks for coming by! Thanks for sharing. I just love english muffins. epbooks, I'm glad you're going to try homemade English muffins. They're so much better than store-bought that you may be spoiled after you taste them! Thank you for coming by. I've never made them before, but I love English muffins. I think I have a few boxes in the house now! I'll have to try this one day. Rebeccamealey, thank you for your meaningful comment. 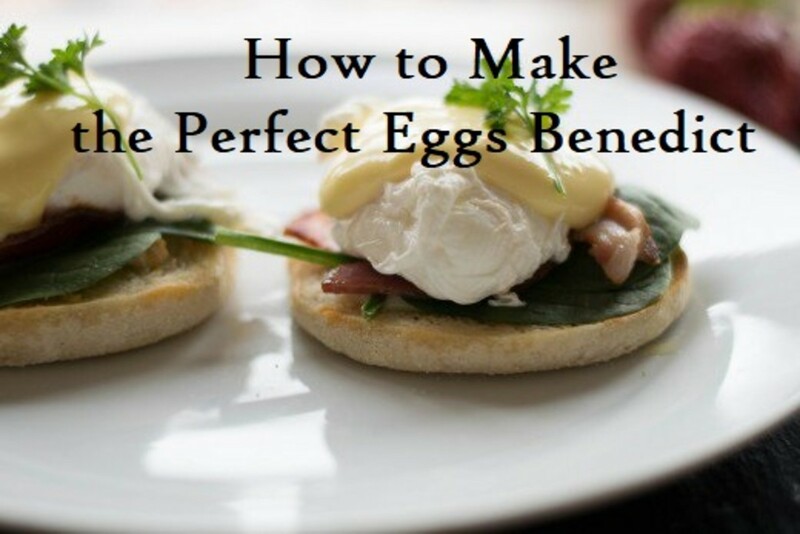 They are delicious English muffins and worth the little bit of effort it takes to make them. It's always nice to see you! Crunchy and full of nooks and crannies is a great way to describe these delicious looking English muffins. I did not know they were basically the same thing as crumpets! Great detailed and photographed steps! rose-the-planner, there's nothing like homemade and English muffins are no exception. Thanks for coming by and I hope you enjoy them! They look delicious! I have got to try this recipe. Thanks for sharing. Kathryn Stratford, I'm glad you enjoyed these English muffins! Thanks so much for the feedback. The rings really aren't important for anything other than the appearance. I have friends who make them free-form, without the rings. I appreciate your comment! Hello again, Vespawoolf, I made these! I don't have muffin rings (yet), so they don't look quite the same. But they taste good! I will buy the rings soon, so next time I can make the "authentic" kind. Thanks again for sharing the recipe. I'm excited! Natashalh, I'm glad you enjoyed learning more about how to make English muffins. Your dad must have been quite the cook! I appreciate the vote and comment and pin. Kathryn Stratford, I'm always happy to meet a fellow lover of from-scratch cooking. Homemade English muffins are so much more delicious than anything that can be bought in a grocery store. Enjoy and thanks for your comment! This is fantastic! My dad used to make English muffins when I was a kid. He tried to explain it once to me, but I didn't remember anything and just ended up confused. Thanks so much! Voting up and pinning. I looked at this before, but this time I read it all of the way through. I am happy to find a recipe like this, but disappointed I can't make it for supper! I will definitely put this on my list of things to make soon. Thanks for sharing it with us! I'm going to share it, because this is great. I love finding new things to make from scratch! KristenWalsh, enjoy! We just love these English muffins and talking about them makes me want to whip up a batch right now. Thanks for coming by! Ayelet, there's nothing like homemade English muffins. Enjoy and thank you for your comment! I'm a big fan of English Muffins and I love making bread. I can't wait to give your recipe a try. Yum - will be trying these soon! rumanasaiyed, thanks for the votes, comment and share! Thanks for fixing the recipe so that it is much easier to read. I think it will work so much better for someone that has never baked using yeast. I made up the dough yesterday and fried them up today. They turned out very good and I will definitely try this recipe again. I have seen a lot of "Alton Brown" recipes out there, but I like this one because it has the yogurt in it. Thanks again. nancygene, thank you for asking for clarification. 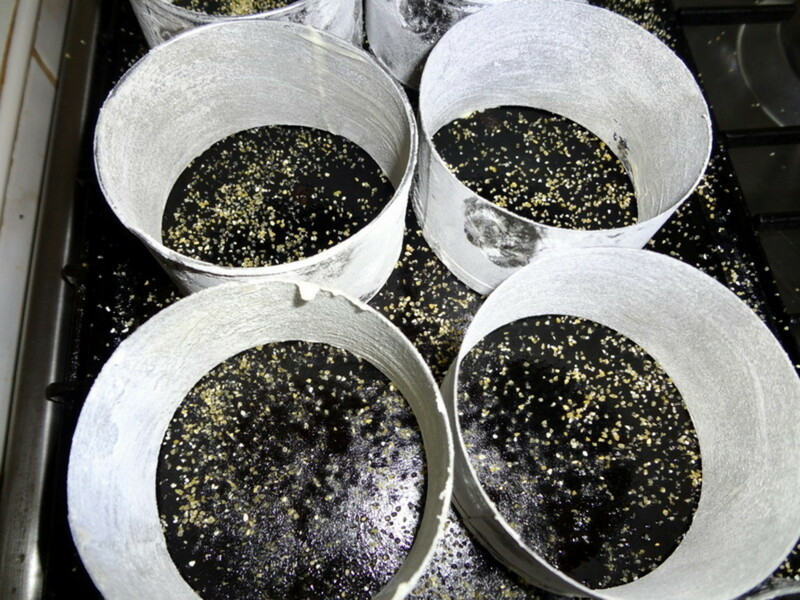 The 1/4 teaspoon sugar and flour are to "feed" the yeast during the proofing process. As long as the yeast didn't proof for too long, it shouldn't be a problem to omit them. The melted butter goes into the English muffin dough with the other wet ingredients. I have revised the instructions to make them clearer. Please let me know what you think if you have a chance to re-read them. I'd be interested to know how the muffins turn out without the melted butter. I made this recipe today and have put my mixture in the frig for tomorrow. Howeer, I must be the only one, but I found the instructions a bit confusing. I am assuming you used the 1/4 cup warm water to proof the yeast, but I am wondering what the extra 1/4 tsp sugar and flour are for? I thought the 1/4 tsp sugar would be to proof the yeast, but the 1/4 tsp flour is for what? Also, is the melted butter for the wet ingredients or is this the butter I should use to coat my muffin rings? Hannah Ercolini, enjoy the English muffins! I agree, there just aren't many good recipes out there but this one works for me every time. I like the overnight rise since I enjoy eating the muffins for breakfast. Thank you for coming by! Yummy! I'll need to try this. I have never found a good recipe for making english muffins. Thank you! Vickiw, I'm glad you enjoyed the English muffins! We love them. Technically, instant yeast doesn't need to be activated with water, but since they don't market it here in Peru I haven't actually tried it. I would be interested in hearing your experience if you try the instant. Thank you for coming by to leave your review! Have a great day. I made your English muffins this morning, and they turned out just great. Thank you so much for sharing this. Question: if I use instant yeast, can I just leave out the initial steps for activating the yeast? rumintasari, we don't have muffins in Peru, either, but these homemade muffins are so much more delicious than the stuff you can buy anyway! looks yummy... we don't have muffins here..
PegCole, I hope you enjoy the muffins. 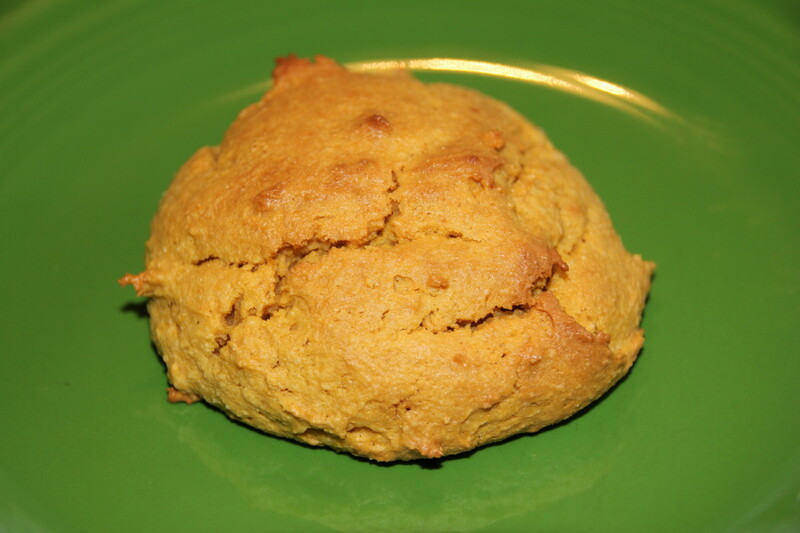 I make them regularly and sometimes I add whole wheat or garbanzo flour to make them more wholesome. They are so much more delicious than the store bought type. Thank you for coming by! This is exactly what I've been looking to find. English muffins are a favorite around my house but the store bought ones keep getting smaller and they don't work well in the toaster. This recipe will give me the chance to make them from scratch. I love your tips on how to make the nooks and crannies and all your illustrations and instructions were great! 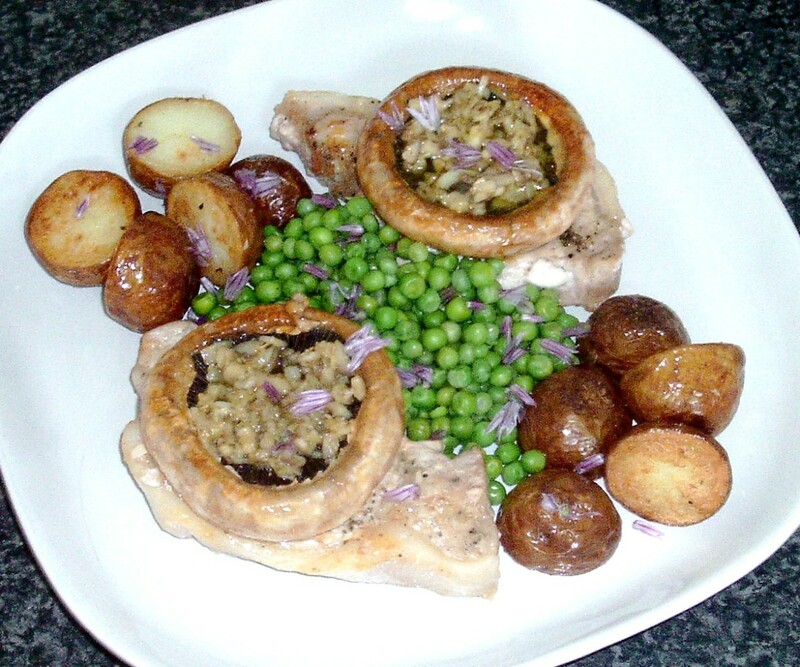 Vickiw, I´m glad this recipe inspired you to write your own! Please check out my hub series on How to Write your own recipes to learn more! Thank you for your comment. I always make my own very similar technique. Never buy bread either. Good for you. Your article is awesome! That has inspired me to write a recipe article. Shai, homemade muffins are so much better than the kind you buy in grocery stores. Actually, I never would have thought to make them but for the fact that we can't buy them in Peru! Thank you for visiting me, and for the vote and comment. Amazingly, as good as English muffins are, I've never thought of ever making one from scratch. Now after reading this, I wonder why it never occurred to me. Thanks for sharing this, it looks delicious and can't wait to try it. VU & useful. Ignugent, of course homemade is always more delicious than store bought! I hope you enjoy them and thank you for the vote and comment. We always buy Englsih muffins. I would try to do your recipe. Lindacee, I know what you mean about craving what you don't have! I also tend to crave things I never eat while living in the U.S. These English muffins are so much more delicious than the store bought version. Thank you for taking the time to read and comment. I look forward to reading more of your interesting hubs.